You might think meditation doesn’t play a part in Turkish society but look deeply and it is found in many traditions and customs. The tespi (prayer) beads, typically used by old men who sit all day in tea houses, are a counting tool to help the mind connect to its higher religious purpose. 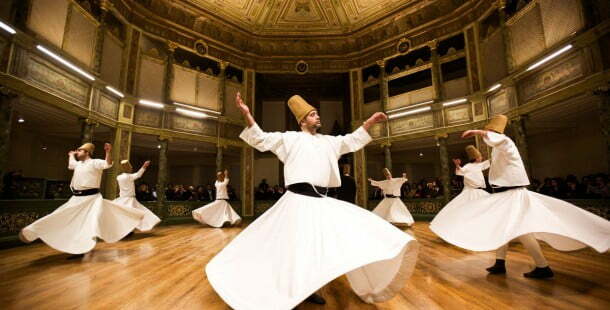 Likewise, the Whirling Dervishes, now a popular tourist attraction, especially in Istanbul use the active meditation technique of the circling Sama Sufi ritual to propel their mind into a pleasing state of just “being”. Some modern-day Muslims will also tell you that tafukur (reflection) is another form of meditation that helps them to perform Salat, the five-times a day prayer. The practise of meditation has many different methods around the world but in the 1980s, the hyped-up yuppies of the western world ridiculed it as performed only by cross-legged hippies with a passion for sweet-smelling incense and marijuana. The concept was further tarnished by the “Giggling Guru” Maharishi Yogi Organization who charged 2500 USD, for a one-word mantra that was typically just picked out of a dictionary. 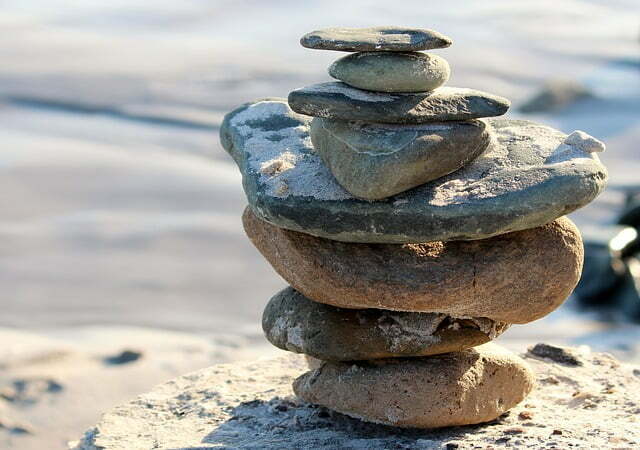 Fast forward to 2008 and the damaged reputation of meditation was repaired when scientists at Harvard University proved that it alters our DNA, therefore helping us to deal with sickness, mental health issues and social interactions. Apparently become skilled at it, and it is even possible to mediate on a crowded bus or while your spouse is chewing your ears off. Knowing this, I often use mobile apps to help me reach a meditative state, especially when I am hit with the dreaded writers block. Sometimes it works and I instantly feel the benefit but on other occasions, I can’t stop my mind from wandering. So when I saw a message working its way around Facebook about a Meditation and Healing workshop in Altinkum, I signed up. Held on the Siesta Boat, we set sail to cruise around the coastline before dropping anchor in one of the bays. 40 people attended of which I only recognised a few familiar expat faces but the thought of a collective meditation session with strangers was daunting. It was too late to back out though and following the instructions of Janice, a qualified Reiki healer, we all lay down on the sunbeds to learn her technique of emptying our mind of useless thoughts. Her soothing voice and soft background music, combined with the gentle rocking of the boat was relaxing and calming. (Should I ever win the lottery, I will employ Janice to replace the many mobile apps that I have worked my way through). We then moved onto the next stage of seeing and feeling auras. Following instructions I stared hard at the person opposite me in an attempt to see their colour glow and I saw nothing! Trying again, a faint hue appeared for approximately 2 seconds before it dwindled away never to be seen again. The same thing happened when we started the session about feeling auras. I did feel a presence but was that my partner’s aura or simply my overactive imagination? Following a finger buffet spread, birthday celebration and a raffle, we docked back into harbour and everyone headed their own ways. I realized then that reading and feeling auras, is something I don’t have an interest for. However I massively feel the benefits of meditation and the comfortable feelings of grounding myself to a realistic outlook on life. The instructors plan to organise another mediation and healing workshop, maybe in a scenic place of nature or an historical venue. Details are not confirmed yet but I will be attending and if you are in the area, recommend you do as well. Just leave your incense sticks, hippy robes and one-word mantras at home. The Meditation and Healing Workshops of Altinkum are run by Janice Manson and Karen Thorne, who can be contacted via the Glitz and Glamour group on Facebook.